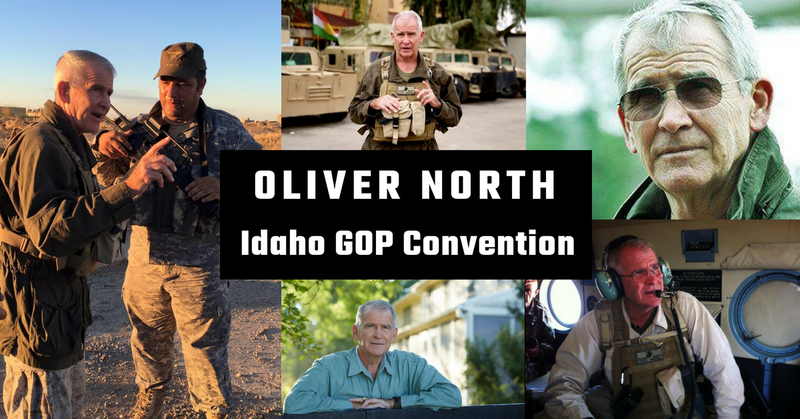 Boise – The Idaho Republican Party announced today that Oliver North, retired United States Marine Lieutenant Colonel and soon-to-be president of the National Rifle Association, will speak at the state GOP convention in Pocatello on June 29. North is coming to the convention to support candidates who have strong NRA ratings on gun rights. State Party Chairman Jonathan Parker said North’s military service and commitment to 2nd Amendment rights reflect the values of the people of Idaho. “We are so excited to welcome Lieutenant Colonel North to Idaho,” Parker said. “Here in Idaho we honor those who have served our country, and we cherish our Second Amendment rights. “At a time when gun-owning Americans have come under unprecedented attack from those who want to ban guns, when the NRA and other gun-rights advocates are being wrongly blamed for the terrible acts of criminals, and when out-of-state leftist groups that insult and demean gun owners are active in our own state, it is more important than ever that we stand up and proudly proclaim our commitment to the rights of all law-abiding citizens to keep and bear arms. The Idaho Democratic Party’s candidate for governor, Paulette Jordan, has said she strongly supports gun control and mandatory registration of all firearms with the government. She has also enthusiastically accepted the endorsements of organizations that support sweeping gun-ban legislation. 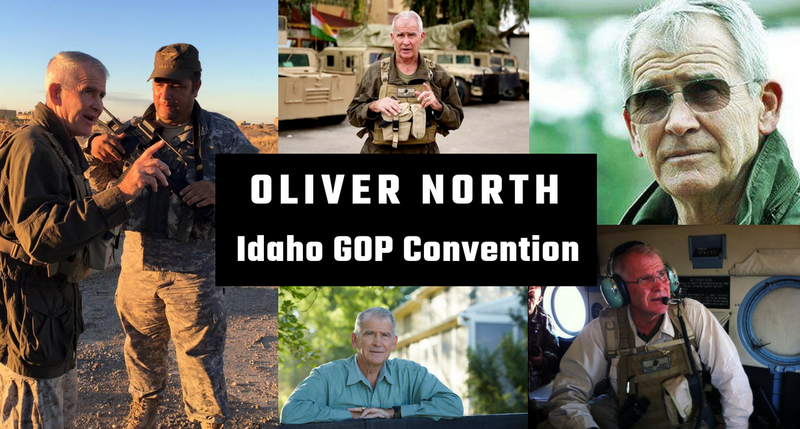 North will speak at the Idaho GOP convention dinner at Idaho State University’s Holt Arena in Pocatello on Friday, June 29. The convention itself runs from June 28 through June 30. North is a combat-decorated Marine, the recipient of the Silver Star, the Bronze Star for valor, and two Purple Hearts for wounds in action. From 1983 to 1986 he served as the U.S. government’s counter-terrorism coordinator on the National Security Council staff. He has written numerous books on the American Military, including the “American Heroes” series and “A Greater Freedom.” He has served on the NRA Board of Directors since 1998 and is the founder of Freedom Alliance, a foundation providing college scholarships to the sons and daughters of U.S. military personnel killed in the line of duty. Early Bird Registration for the State Convention is Now Open!